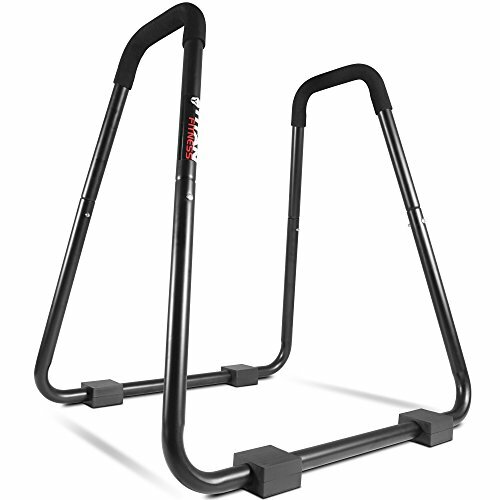 The Titan Fitness One-Piece Dip Station is perfect for performing tricep dips, rows, and more during your workout. The unique single-piece design makes it more stable than a standard two-piece dip bar stand, and it features a weight capacity of up to 750 lb. Ease of installation means it's simple to put together, and moving it around is a breeze thanks to its light weight. The foam grip handles keep things safe and comfortable when building muscle and burning calories, while pads on the bottom protect the floor and maintain stability during your workout.